The rollout comes less than two weeks after Apple launched an Apple ID creation tool that enabled users access to iWork for iCloud on non-Apple devices, including computers and mobile devices running Windows and Android. Prior to the open enrollment option, Apple ID and its trappings were reserved for owners of Mac, iPhone, iPad and iPod hardware. 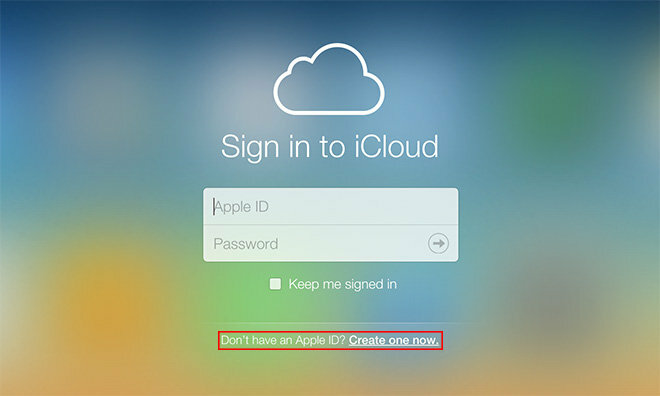 As seen in the above screenshot, users visiting iCloud.com can click on the new sign-up link to create an Apple ID account, which opens the door to select Apple online services. For now, access is limited to the Pages, Numbers and Keynote Web apps and a Settings page. A further restriction limits online storage space to 1GB for users without Apple hardware. To create a new Apple ID, new users must furnish their name, email address, date of birth and set up three security questions for password retrieval. As noted previously, the process can be accomplished on any modern browser, including Internet Explorer for Windows machines.